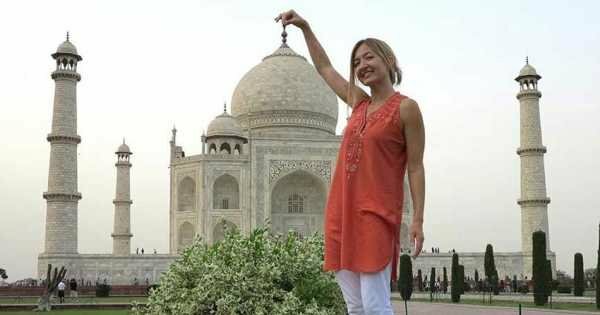 Like moths to an eternal flame, tourists are drawn to this wondrous place home of the Taj Mahal. A Taj Mahal private tour of Agra the majestic wonder of Maharajas, allows you to witness Indias most famous resident in all her glory and she never disappoints. Mere words are not enough to describe its remarkable beauty, grace, and elegance. Who doesn't want their photograph taken here?? 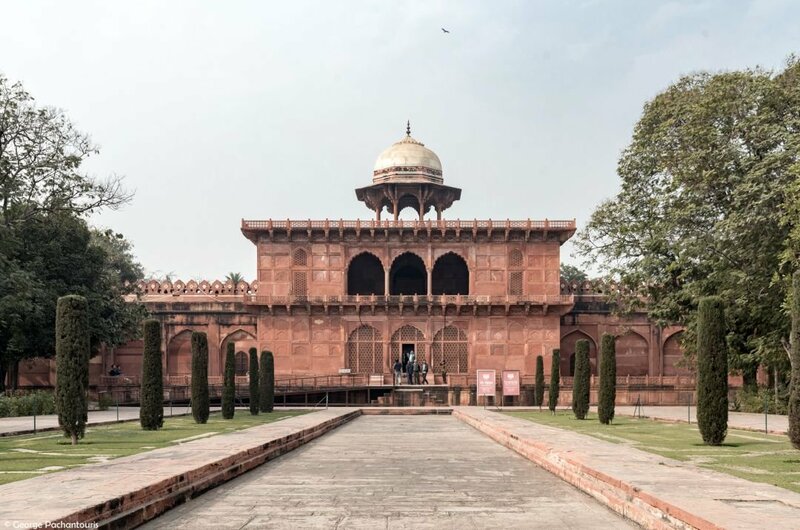 Agra, however, is not just the Taj Mahal it has many other attractions left over from the glory days of the rule of the Mughal Empire. 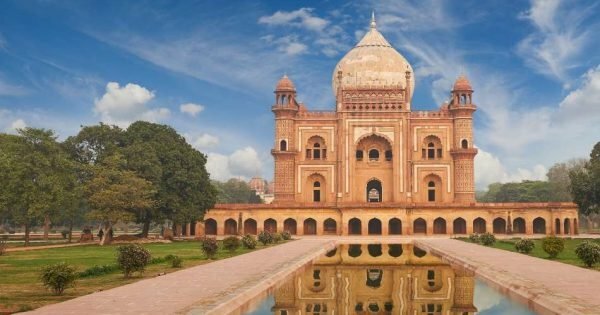 Straddling the holy Yamuna River, Agra has its fair share of other spectacular mausoleums and tombs and, although overshadowed, they are still fascinating in their own right. 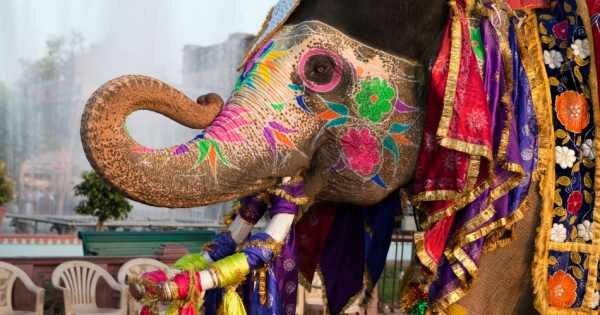 A part of Indias Golden Triangle which includes Delhi and Jaipur, it forms an important component of the tourism industry here and is on most people's holiday bucket list. Colourful market stalls and even more unusual traders are vying for business in the tiny maze of lanes at the Bazaar. Take a custom tour to see the amazing Bear Rescue Facility dedicated to saving these Sloth Bears from poachers and extinction. 1 Described by Kipling as ‘the embodiment of all things pure’ the Monumental glory of the Taj Mahal is known all over the world. Undoubtedly the world's most beautiful building I don’t think there is anybody that hasn't heard its tragic story. On a private tour, your first sight of this exquisite construction will leave you speechless and breathless, truly indescribable. Designated a World Heritage Site and rightly so. 2 Another well-deserved UNESCO site is the striking Agra Fort. The Red Fort of Agra as it is known was constructed in the 16th century and is a monumental feat of Mughal construction. The red sandstone walls of this fortress give an indication of its might and power and protects the Imperial City. A private tour inside finds two beautiful mosques, as well as two fantastical Palaces of Jahangir and Khas Mahal, also built by Shah Jahan. 3 Built as part of a series of 11 parks on the east bank of the Yamuna River this centuries old garden complex is known as the Moonlight Garden. 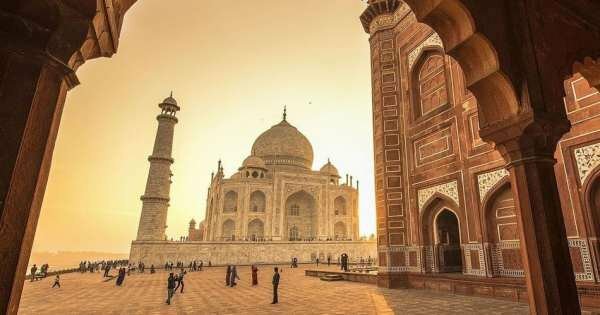 After falling into disrepair and severely neglected it was rebuilt mainly to protect the Taj from the sand blowing across the river and its erosive effect. Restored to its former glory as a lush oasis now it is the best place for a photograph of the great Taj down their perfectly aligned gardens. 4 Situated inside the Taj complex at the edge of the picturesque gardens is the Taj Museum. A private tour of this small museum has excellent examples of original Mughal miniature paintings as well as some well-preserved silver and gold coins. 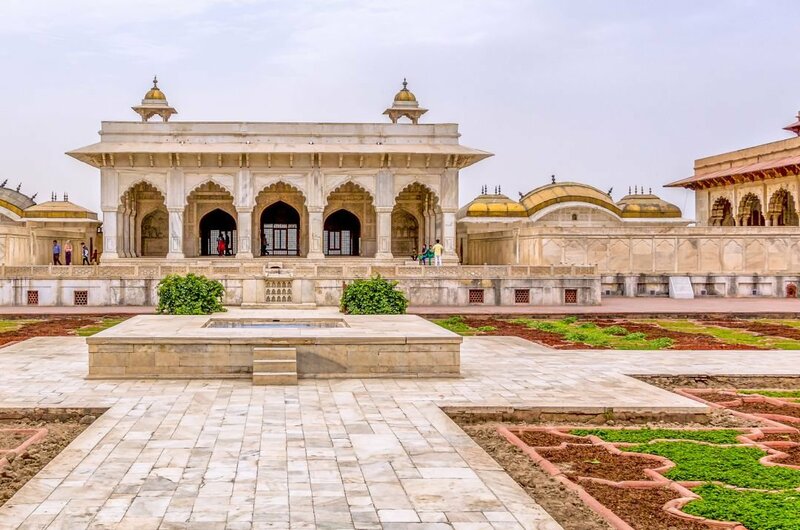 Most interesting are the original, intricate architectural drawings of the Taj and portraits of Emperor Shah Jahan and his beloved wife Mumtaz Mahal to whom the great Mausoleum is dedicated. 5 Baby Taj as it is affectionately known is not as grand as the Taj Mahal, but its delicate appearance makes it a unique building in its own right. This Persian Nobleman's Tomb with its finely carved lattice screens was the first structure to be built completely from marble by the Mughals. The first of many tombs to be constructed on the banks of the Yamuna which, until then, had been just a succession of Spectacular pleasure gardens. 6 Lying hidden behind a shady avenue of trees on the banks of the river lies Chini ka Rauza. 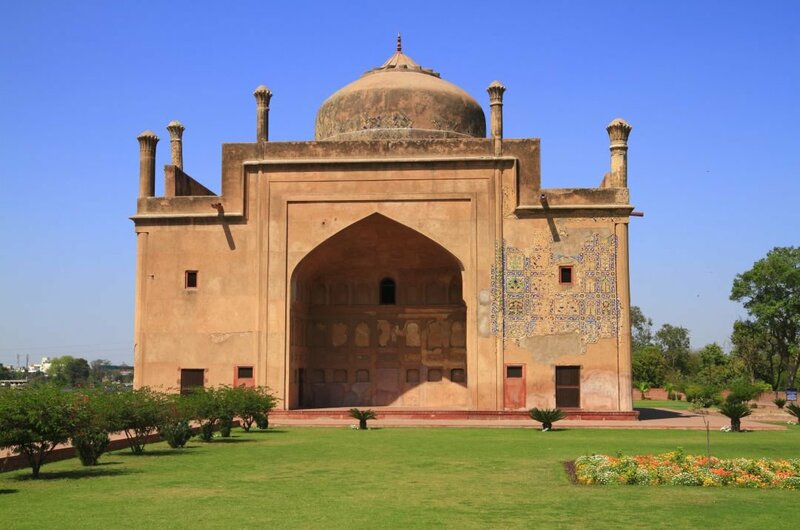 The Persian style tomb of Afzal Khan was built between 1628 and 1639 and is one of Agra's hidden gems and rarely visited. As a poet who served as chief minister to the Shah Jahan his tomb was once richly decorated with glazed tiles thought to be brought from China some of which remain to this day and make this a site worth seeking out. 7 A crazy maze of tiny lanes behind Jama Masjid is where you will find the Kinari Bazaar. Colourful market stalls pack the streets vying for trade and trying to catch your attention. Even if you don’t want to buy anything you have to visit just to witness the sheer craziness of the whole thing. Selling literally anything from clothing to spices its hard not to be tempted. You even see the odd elephant wandering through..as you do..
8 During the reign of Emperor Akbar built his short-lived Capital here. This monumental fortified ancient city included three Palaces, one for each of his favourite wives. Still today the stunning mosque is used for everyday prayer. 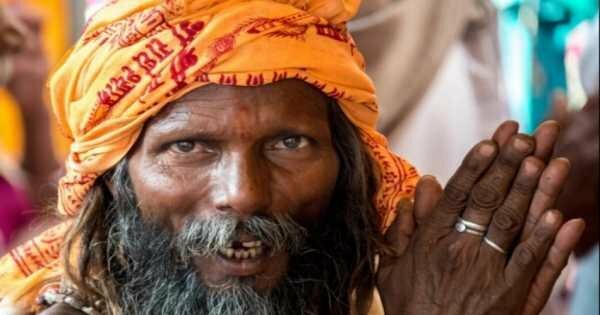 A Saint in the village predicted that an Heir to the Mughal throne would be born Akbar erected his capital here after it came true. Take a private tour of this mostly abandoned site now protected by UNESCO. 9 On the banks of the Yamuna lies the beautiful Palace of Khan Mahal built by Shah Jahan for his beloved daughters. Adorned with golden engravings and ornamental floral designs the interior is even more spectacular than the outside. Constructed in red sandstone but then covered in white plaster it sits majestically reflecting the sun in beautiful glory. Take a private tour and stroll its gardens, open courtyards and stunning fountains. 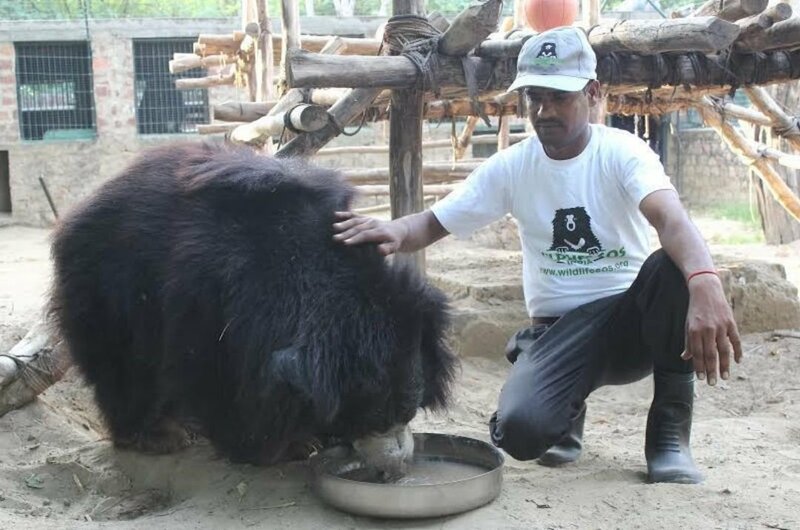 10 Something a bit different is a private tour of Agra Bear Rescue Facility which has the world's largest Sloth Bear population. In a large, shady forest enclosure live over 200 sloth bears. After rescue, bears are vaccinated and then put into a socialisation unit where they are monitored for social problems. A brilliant facility where these cuddly bears are loved and cared for and protected from the threat of poachers. If your budget is a bit tight, you can easily survive on a budget of 15 USD. Sounds unbelievable? No, it's true if you don’t mind roughing it and eating basic local food. If you have 25 USD then what a luxurious stay you could have. Train and bus journeys are a fabulous experience and cheap as chips however they are massively overcrowded and stuffy. Rickshaws are the local taxis and are an affordable if somewhat rough experience. Tour guides are fab ! Your first job when visiting is to check to see if your country of origin needs a visa to enter India. You need to do this in advance and check your passport has minimum six months still on it. Second is visiting your Doctor to discuss vaccinations. You may need some or have some boosters. Public toilets can be a real eye opener so take plenty of toilet roll and wet wipes and maybe a peg or two. Travel to Agra to visit one of the world's most iconic and spectacular buildings, the Taj Mahal, on this full-day tour from Delhi. See the Taj Mahal at sunrise, and Agra fort. 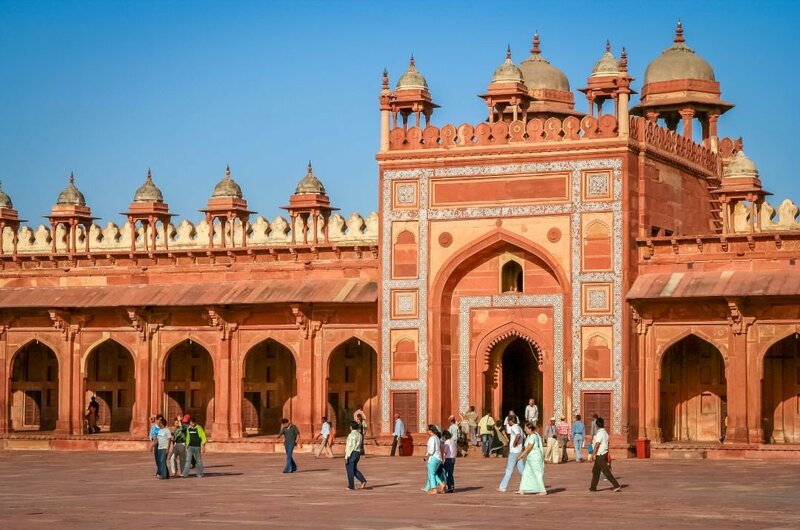 Journey back to the days of India’s Mughal Empire on this day tour that includes admission to three World Heritage sites Taj Mahal, Agra Fort and the Fatehpur Sikri. 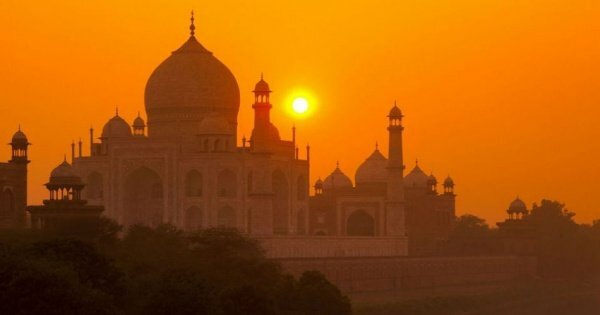 Visit the Taj Mahal at sunrise to avoid the crowds, long queues and hot temperatures. Admire the stunning sun-rays falling on this magnificent complex as the day breaks. 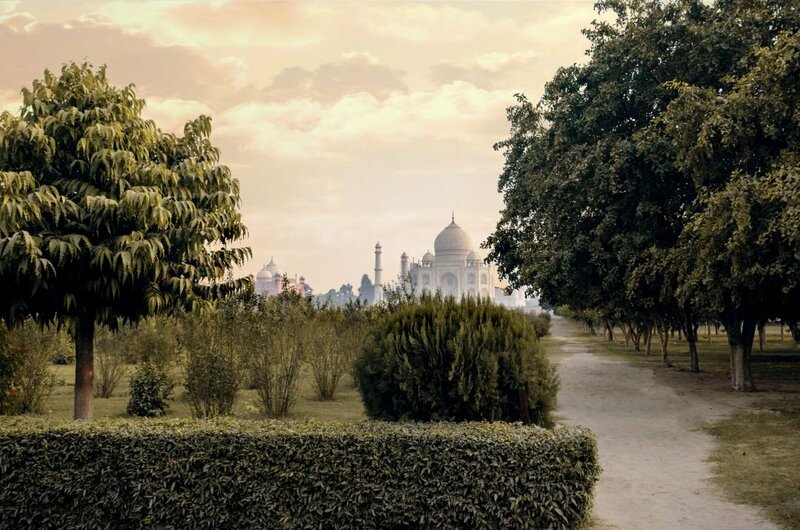 Travel to Agra in air-conditioned and your full-day program also includes visits of Itmad-ud-Daulah also known as "Baby Taj" Or Mehtab Bagh - A sunset point of the Taj Mahal. 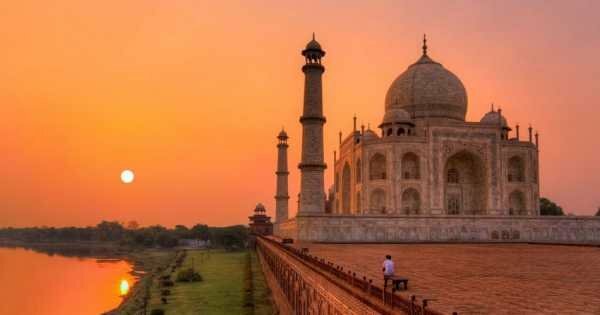 Enjoy a day trip to Agra, visit the world's top heritage monuments. Marvel at the magnificent Taj Mahal, visit Agra Fort and Mehtab Bagh. 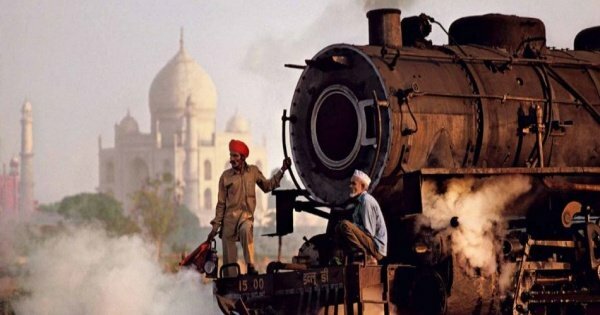 Climb aboard a super-fast train and journey from New Delhi to Agra to see the stunning Taj Mahal and Agra Fort. 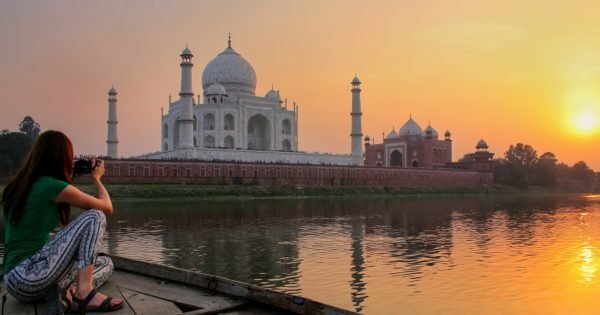 Watch the sunset from the Mehtab Bagh or visit the "Baby Taj". 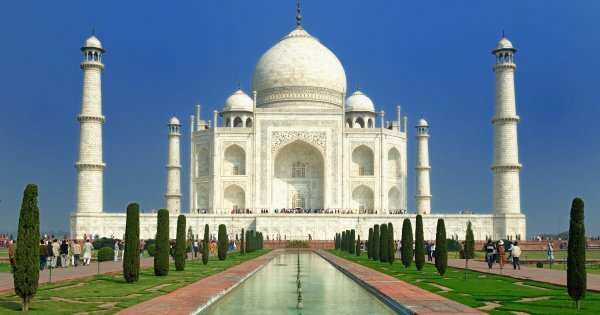 Take this chance to visit the Taj Mahal from Delhi. 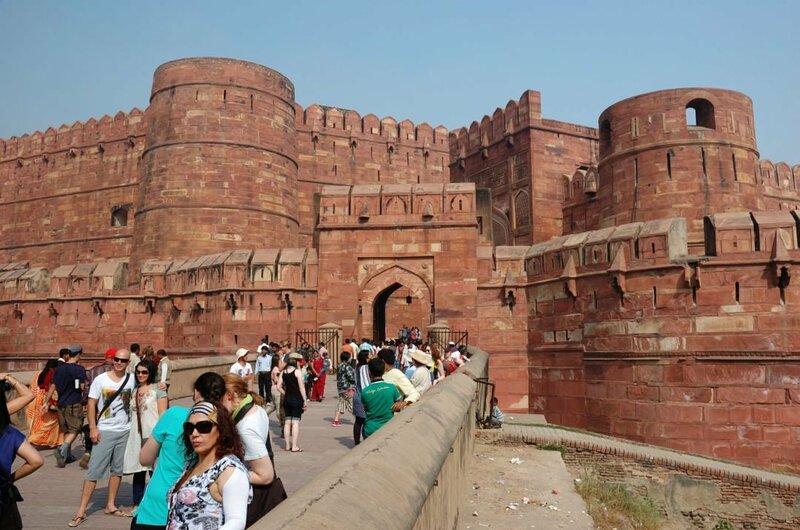 Enjoy the comfort of your own private car and driver, as well as an English-speaking guide with visits to the Red Fort . 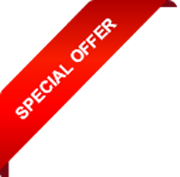 Golden Triangle Tour 4 Day is a great idea – covering Delhi to Agra and Jaipur from Delhi. Golden Triangle India Tour Package is the most popular tourist circuit in India. 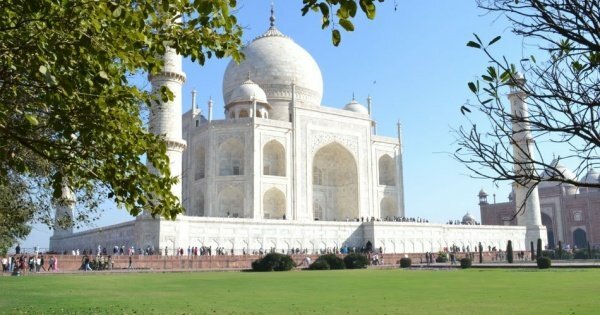 Enjoy The Trip to Taj Mahal, Agra in one day from Delhi by Gatimaan Express Train The Train reach in Agra in 100 Minutes. 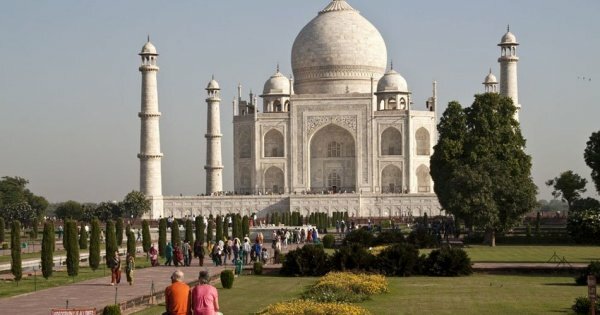 Probably there is no other theme tour besides the Same Day Agra Tour by Luxury car as it will give the full-fledged glimpse of monuments . This tour package is specially designed for foreign travellers, who want to explore the Taj Mahal and Agra in one day by train. 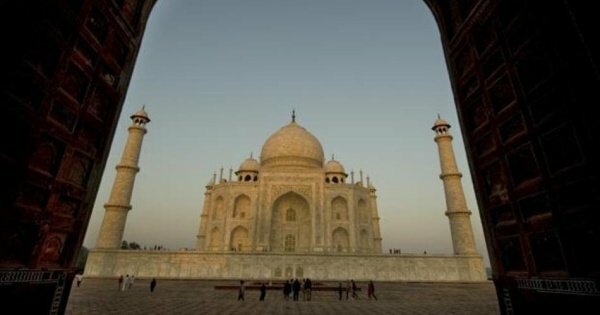 On this 2-Day Private Golden Triangle Tour of India from Delhi, you’ll see some of the region's top attractions in the cities of Agra and Jaipur. 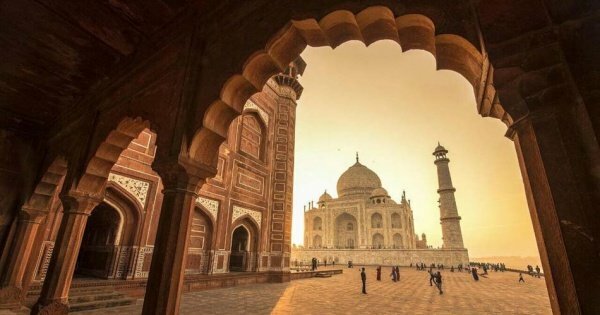 On this Golden Triangle Tour of India, you’ll see some of the region's top attractions in the cities of Agra and Jaipur. 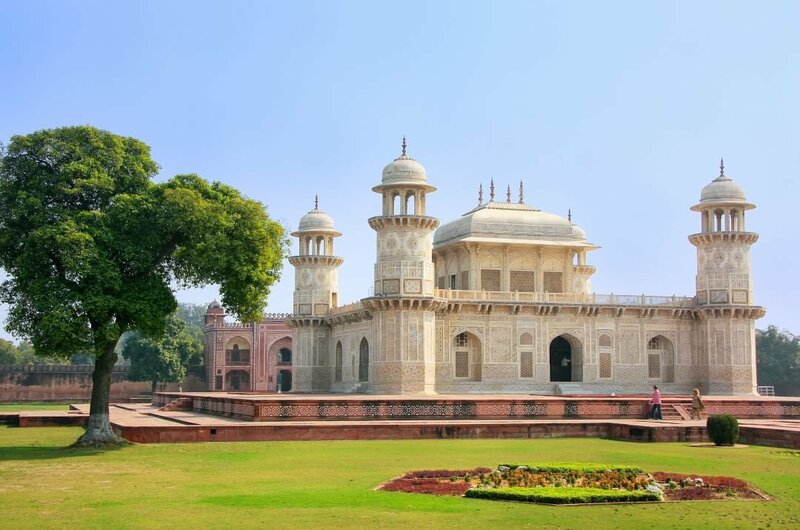 Step back in time and discover the glory of the Mughal Empire of India on this private day trip to Agra from Delhi. 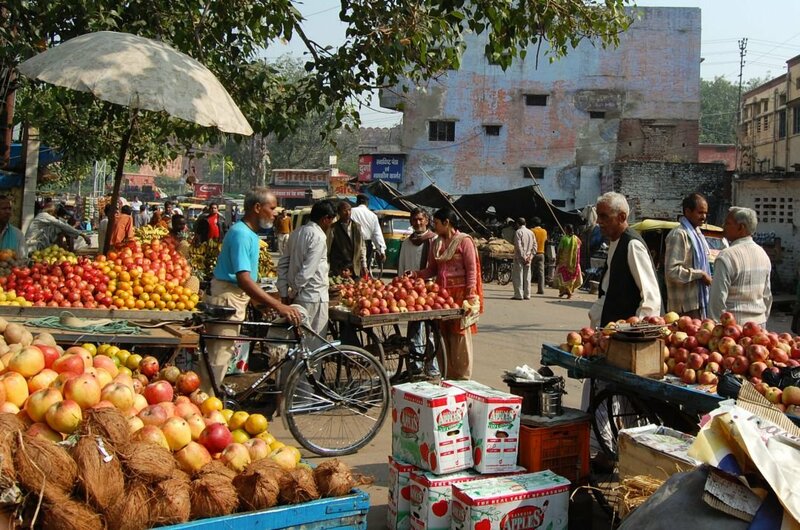 Enjoy a full-day tour of Agra. 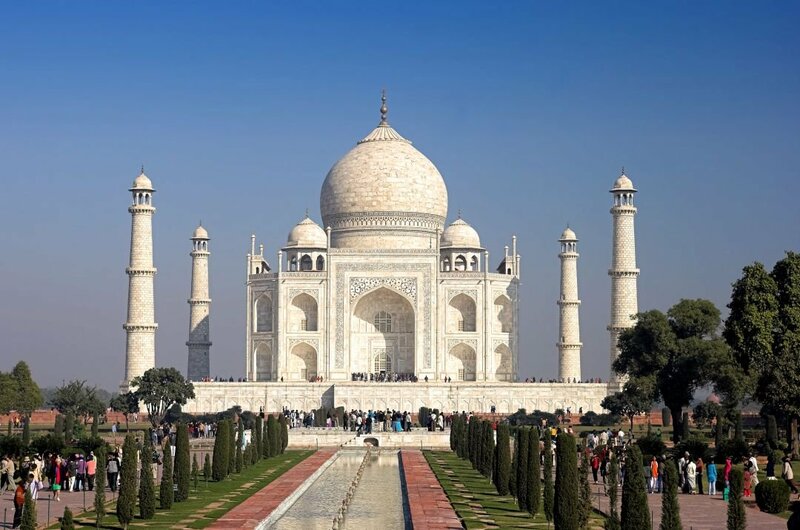 Agra is home to the Taj Mahal, one of the Seven Wonders of the World and it is a famous destination for tourist because of the magnificent Mughal Infrastructure. 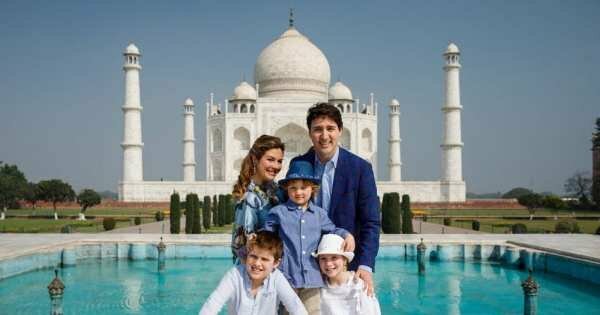 Private full-day tour of Agra. 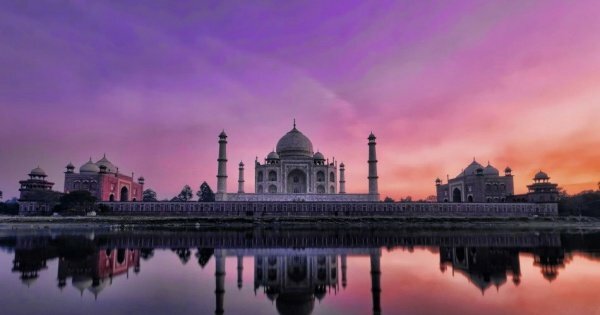 Visit the Taj Mahal, Agra Fort, "Baby Taj" Tomb of Itmad-Ud-Daulah, and Mehtab Bagh for a sunset view of the Taj Mahal. 4.9 out of 5 based on 589 reviews.